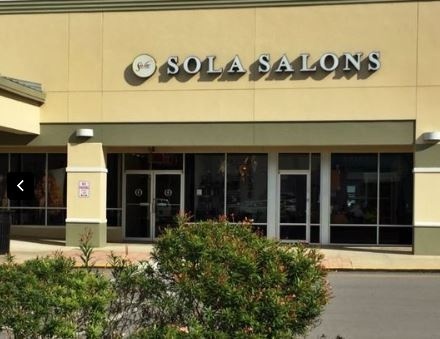 Executive Skin and Laser has now relocated to a new location at Sola Salons on US Hwy 19 near Nebraska Ave. Our Palm Harbor location is conveniently located in Coral Landings Shopping Center on US 19 North between Tampa Road and Alderman Road. We are next to Publix and behind Wells Fargo by the big oak tree. We are directly across the street from world famous The Lucky Dill Deli. You will love our location and its proximity to surrounding shopping. Imagine a treatment that can treat fine lines and wrinkles, and improve textural irregularities. Achieve all this in one treatment that requires little- to-no downtime and is clinically proven for ALL skin types. Our Elos Plus Laser is the first and only skin tightening technology that uses combined energy to lift and tighten the skin. Executive Skin & Laser offers a variety of facial treatments specifically tailored and customized for your specific needs. The world’s most advanced hair removal treatment – Faster, more effective, and less pain compared to any other laser hair removal device. New treatment! High-intensity focused ultrasound (HIFU) lifts and tightens skin for a non-surgical face lift and neck lift. IPL Photofacial treatments utilize the latest advances in laser technology to treat everything from sun damaged skin to rosacea, age spots, premature wrinkles, pigment problems and more on face, neck, and chest. "I started the Sublative treatment for acne scars from when I was younger and just had my third treatment. I can honestly say that it's worth it. What a difference it's made on my face. I can see the difference and so can others. Friends I haven't told have asked me if I've done something different because my face looks good. I feel a lot more confident when I'm in public and don't feel like people are drawn right to my face full of marks. It is a little uncomfortable during the procedure and a little painful for a couple hours afterwards, but completely worth it! Nora made sure I was ok during the treatment and treated me very kind. She is a very nice person and had good bedside manner. I would and have recommended Executive Skin and Laser to others." Our Goal is to listen to each of your concerns and offer a personalized treatment plan to meet your goals. Our treatment plans can be customized to fit your personal goals and budget. Our Commitment to provide exceptional personalized care to each of our patients is our highest goal. Contact the experts in personalized laser treatment plans in Palm Harbor, Safety Harbor, Clearwater, Westchase, Tampa, Dunedin, Tarpon Springs, Trinity, and New Port Richey Florida. All Hours By Appointment - Book Online Below!